Also, this may be the most obscure of all my references, but I think those that get it will get it. And with that, I hope you've enjoyed this special Sci-Fi Week on Elderly Apple. Now we'll get out of science fiction, and look into economics fiction, astrology fiction, and non-fiction fiction. The fun never stops! I get it very, very much. 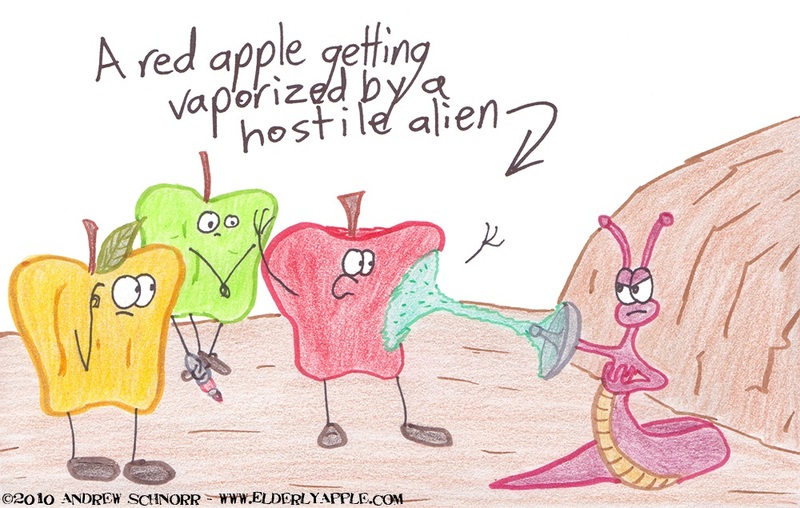 Poor, poor red apple, he should've saw it coming. Nicely played Andrew and the Elderly Apple guy, nicely played ;-).